The operator’s cab in an RTG has traditionally been located at the top of the crane. This gives good visibility over the containers, but the sophisticated video and laser scanning technology of today has freed us from this top-down operating position. We brought down the cabin and placed it at the truck lane. Now the operator climbs into the cabin in seconds -- it's similar to climbing into a truck cabin. This saves considerable operational time over the course of a year and dozens of RTGs. 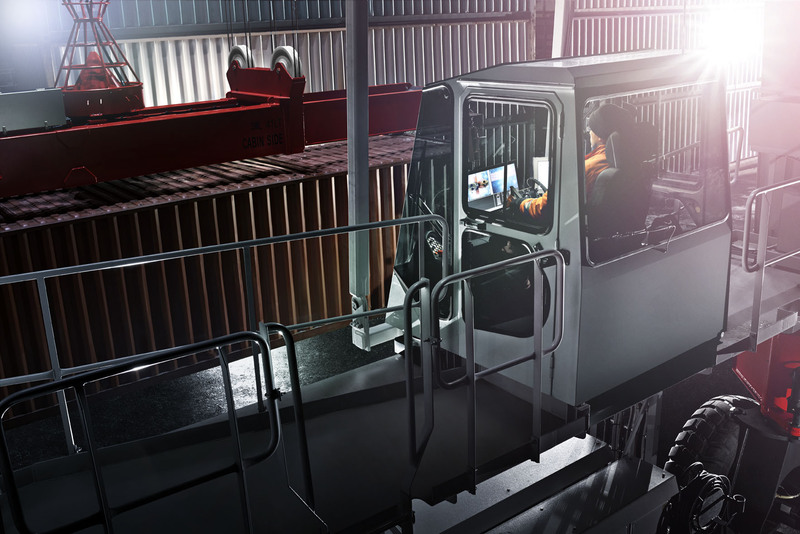 The operator tilts the controller forward, finds a comfortable heads-up sitting position, sets his fingers on the controls, and gets to work .